By popular demand (based on email inquiries about the post the last is first, this post will cover how production plastic lasts are made. The scond post in this series to come later will feature how sandcast aluminium lasts are made. 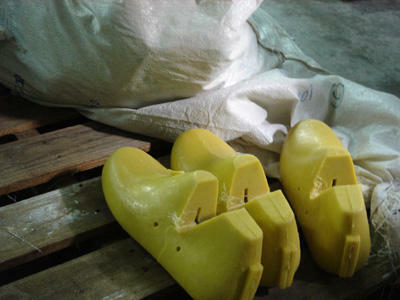 Plastic lasts are commonly used for athletic shoes, as they can be cheaply and accurately produced and stand up well to the wear of high volume production. 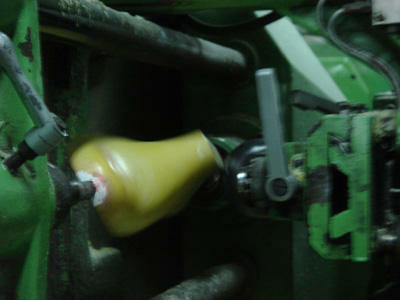 Below are some commone techniques used on a last factory to modify lasts and make plastic lasts for production. 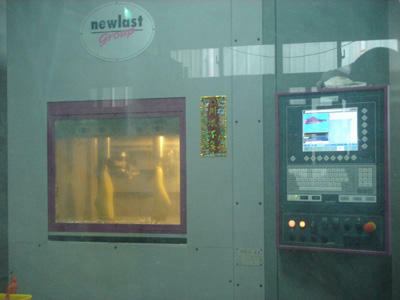 Custom lasts or completely new lasts for performance footwear or specialized shoes may be made differently using more complex computer software or traditional hand last carving techniques. New lasts can be made based on modifying an existing last. Here lastmakers add filler, file and sand stock last shapes to adjust the look and fit of the last. 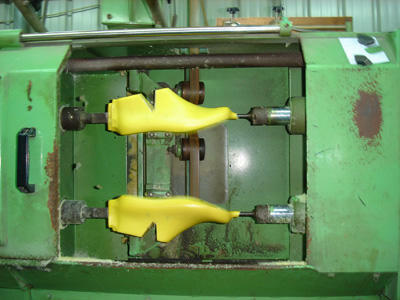 Once a Master Last has been made (by the above method or by other methods) it can be scanned by a computer and the data set that describes its 3D shape can be programmed in 3D computer controlled lathe to make duplicates of the last to exact specifications. Copies of this Master Last can then be easily produced by a mechanical lathe copying machines that works similiarily to a key copying machine, tracing the outline of one last it turns, while cutting the same profile in a last blank to make a copy. 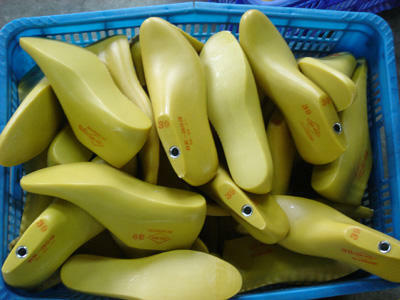 These copies are not as exact to dimension and specification as the Master Last, but are good enough for mass produced footwear. The End. coming soon... part 2, how to make a sandcast aluminium last.